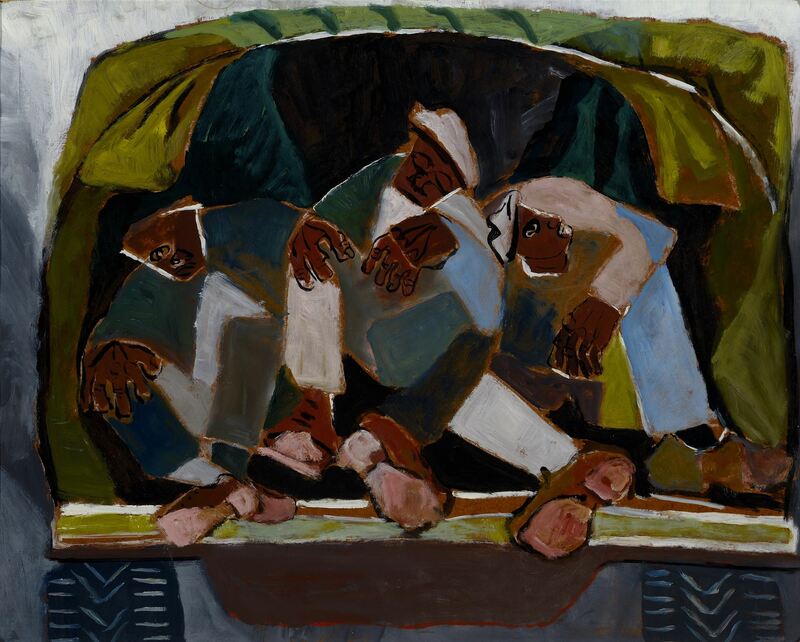 Marianne Manasse, Farm Workers on the Back of a Truck, 20th century. Oil on Masonite, 24 x 30 inches (61 x 76.2 cm). Collection of the Nasher Museum of Art at Duke University, Durham, NC, USA. Gift of Mr. and Mrs. Jan G. Milner, 1997.3.1. © Estate of Marianne Manasse. Photo by Peter Paul Geoffrion. Grade 1 Lesson Plan: Mixing and Matching!